Recently, my daughter and I attended the Fast and Female Summit in Ontario. It was a day spent surrounded by strong and inspiring Canadian female athletes who were all there to share their love of sports and activity with young girls, many of whom are like my 10-year-old. I was blown away to meet accomplished athletes and, of course, Chandra Crawford, the founder of Fast and Female, who wants to change the culture of sports that surround girls. Fast and Female is an organization whose mandate is to inspire young girls to be happy, active, and play sports. 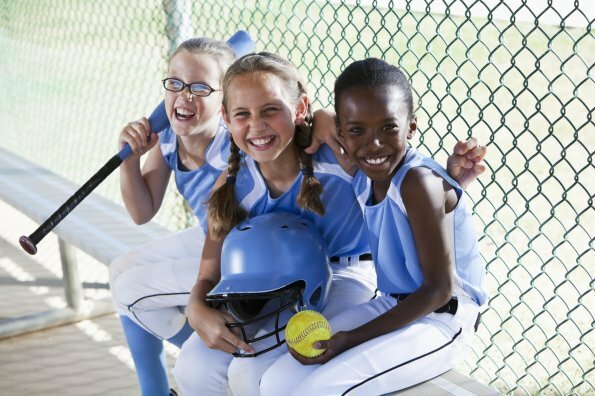 They organize events all over North America to spread their love of sports and, as a result, inspire young girls to stay in sports. The Summit day was divided into two sessions, one for parents and coaches and one for the girls. My daughter attended activity-based sessions where she tried her hand at sports that she would probably never have tried on her own, like paddling, hurdles, and boxing. The parents and coaches attended sessions with athletes and experts that gave us a peek into their lives. Though my friends here at Active for Life have been talking about many of these themes, hearing them from Olympic athletes really hit home. What I learned that day has forever changed the way I look at sports and being active. The first session I attended was led by Kristina Valjas (the Beach Volleyball champion) who, along with her mother, shared with us her struggles and journey to the Rio Olympics. One of the things I found interesting was that Kristin didn’t start playing volleyball until she was in her mid-teens. I always thought that most successful athletes must have specialized in the sport of their choosing at a young age. But avoiding specializing in one sport was brought up a number of times that day and Kristin and many of the other athletes spoke about the importance of letting kids try a range of sports until they find one (or more) that they love. One of the things these amazing athletes had in common was the people surrounding them. If girls are going to stay in sport they need a support system that reinforces and believes in what they’re doing — parents, coaches, and friends. Pay attention to who your daughter is spending time with. Do they love to move? Are they trying lots of new activities and sports? Kristin talked about the embarrassment she feels when she doesn’t do as well on the volleyball court. People don’t like to fail but it is an important stepping stone in learning and growing and it was great to hear from an Olympic athlete. Even Chandra Crawford mentioned this in her talk at the Summit. She said, “Nine times out of ten the play doesn’t go great but, we all know how important it is to keep going.” That’s a lesson I will be reminding my kids about, again and again, especially on those days when the math test was tough and the basketball tryouts didn’t go as planned. The afternoon session on food was an eye-opener. Our kids need wholesome, nutritious food and lots of it to help grow their bodies to their full potential. We discussed how carbohydrates, fats, and proteins are all equally-important building blocks to develop their strength and stamina, and to be active and run and paddle and all the wonderful activities my daughter tried at the Fast and Female Summit. But it might be a shift for some of us to think of food primarily as fuel and not something to monitor, control, and micromanage. Our girls are listening to us every minute of the day, and when referring to food, it’s best to speak about it in a neutral way so that they will look at it that way as well. I’m so glad I was able to attend the Fast and Female Summit with my daughter. This opportunity to be immersed in an environment surrounded by athletes who are not only proud of what they’ve accomplished, but also open to sharing a love for their sport, is something that would benefit every girl in Canada. Find Fast and Female events in your community.